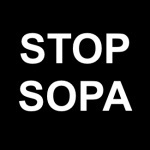 May be, the resurrection of the former SOPA is now happening. In a last post we already listed the negative consequences of the SOPA bill. Fortunately this law actually was never adopted. Nevertheless The Intellectual Property Attaché Act slipped in for consideration over the weekend, seems to resurrect some pieces of SOPA to build a global intellectual property task force, enhanced with promoting anti-piracy law around the world. Open internet advocates were alarmed when Politico’s morning tech roundup today noted that SOPA creator Rep. Smith was introducing a new intellectual property law for review (“markup”). The IP Attaché Act would allow the authorities to police and promote anti-piracy laws around the world. Of course, this kind of measure is dedicated to intellectual property violators, such as China, that allow the selling of pirated goods. Apparently this new bill would be another attempt to enforce backdoor laws to skip an open public debate about major technology issues. ← How to watch Canadian TV in the US with a Canadian IP Address?